Acorda Therapeutics Inc (NASDAQ:ACOR), Celgene Corporation (NASDAQ:CELG), EXACT Sciences Corporation (NASDAQ: EXAS) are among the top biotechnology stock picks of Jim Cramer and he has mentioned each of these stocks at least once during the last 30 days. Each of these stocks has an expected EPS growth of nearly 20% for the next five years. When talking about Acorda Therapeutics Inc (NASDAQ:ACOR), Cramer said that he has retained his positive stance of the biotechnology firm considering its recent acquisition of Civitas Therapeutics. The company made an announcement last month about the acquisition of privately held Civitas Therapeutics for $525 million cash offer. The president of Acorda Therapeutics Inc (NASDAQ:ACOR), Ron Cohen, said, “This acquisition marks a great day for Acorda and Civitas. Both companies share a passion for developing novel therapies that can restore function to people with neurological diseases. We also see substantial synergies between our capabilities, people and pipelines.” The shares of the biotech firm trade at $31.97 with current market cap of $1.33 billion. Celgene Corporation (NASDAQ:CELG) is another biotechnology stock that has been mentioned by Cramer at least four times in the past 30 days. Earlier, Cramer said that the stock is likely to continue its growth streak further and he is a fan of the CEO, Robert Hugin. 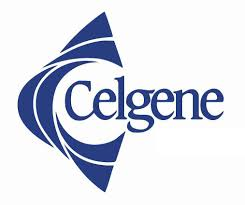 He listed Celgene Corporation (NASDAQ:CELG) in his second portfolio during the “Am I diversified?” section. Cramer further said that this biotech firm is transforming into a solid as well as diverse drug company with a healthy drug portfolio and the company is cutting down its dependence over its blood cancer treatment, Revlimid. Another biotech firm in Jim Cramer’s list is EXACT Sciences Corporation (NASDAQ: EXAS) and Cramer highlighted that the biotech is trading at 40% higher share price after Medicare announced the coverage of Cologuard. The biotech firm reported net loss of $19.4 million for its second quarter 2014.